We are now 18 movies into the Marvel Cinematic Universe, and all 18 movies have featured male leads. The latest addition to the MCU, Black Panther, certainly follows this trend, as the titular character is Black Panther himself, T’Challa. And while Black Panther is great, and is non-stop thrilling sprint from beginning to end, this is the first Marvel movie that is not *just* about the main male superhero. The film makes it very clear that T’Challa would be nowhere without the help of the four strongest women in his life — his mother Ramonda, his younger sister Shuri, his ex-turned-spy Nakia, and the leader of the all-female Wakanda warriors, Okoye. 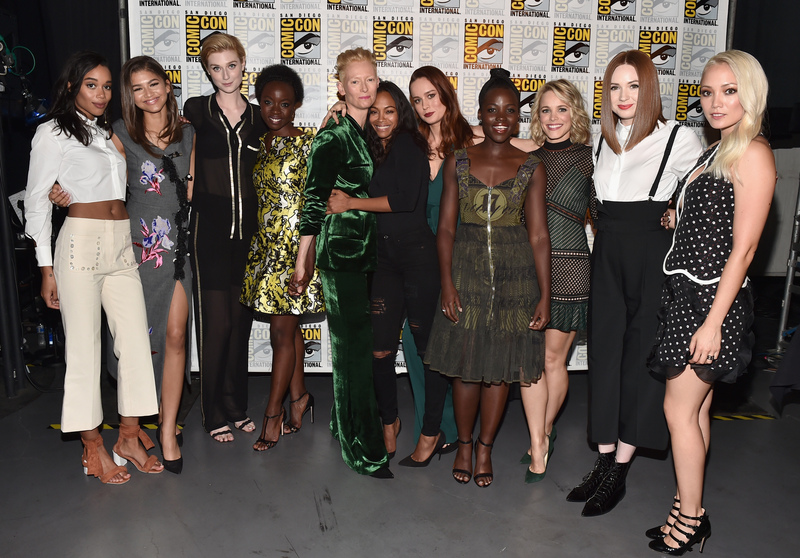 Two years ago at Comic-Con, following the Marvel Panel in Hall H, all of the female Marvel characters gathered together to take a picture, and suddenly the world thought, “Huh, wouldn’t it be cool if they could all be in a movie together?” During the press tour for Thor: Ragnarok, story goes that Tessa Thompson very politely asked Marvel Studios President Kevin Feige if there could maybe be an all-ladies Avengers movie. But Black Panther is the first movie in 18 movies that really demands this idea. T’Challa quickly establishes himself as the best and strongest fighter in Wakanda, but often whatever he’s doing (and fighting) is eclipsed by whatever the ladies in the movie are doing. There’s one scene that has T’Challa chasing bad guy Ulysses Klaue through the streets of South Korea, and soon it turns into a full-blown shootout. T’Challa is easily deflecting bullets with his vibranium suit, so cool! 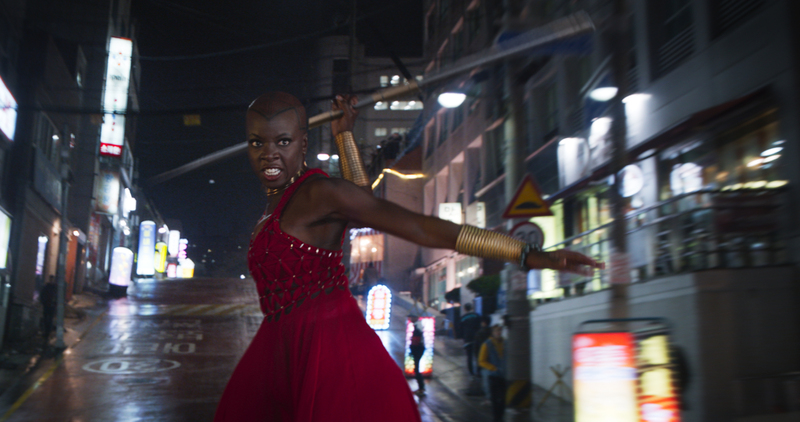 But then Danai Gurira’s Okoye joins the fight, but she doesn’t have a bullet-proof suit. Instead, she climbs onto the hood of a car, armed only with a giant spear — oh, and by the way she’s in a dress — and literally takes down just as many bad guys, still dodging bullets, and did I mention she literally only has a spear as a weapon? She doesn’t have a supersuit because she doesn’t need a supersuit. On top of that, Nakia — who is established as T’Challa’s ex, and leaves Wakanda because her calling is elsewhere, as a spy — manages to keep the ball rolling when everything falls apart, and the future of Black Panther, let alone Wakanda, looks bleak. And my god, just everything Angela Bassett does and says as Ramonda makes me wish she had her own country right now to rule. The men are fine in Black Panther, Black Panther himself is fine. But come on, the dudes spend most of the movie arguing and fighting over what’s right and wrong, leaving the ladies to figure out how to get everything done and then they do it. 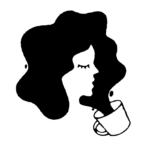 Now imagine an entire movie where that’s the case — imagine an entire Marvel Cinematic Universe where the ladies are in charge. That’s the next movie I want to watch.